A friend of mine once told me that she only felt “worthy” when there was a new goal to accomplish. Rather than feeling successful after completing a project, she felt sad. 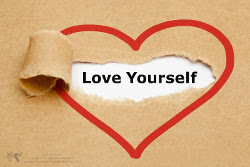 Another friend shared that she found herself self-sabotaging her efforts when things were going well because she somehow felt “unworthy” of success and was afraid that others might see her imperfections if she were to achieve her goals. There’s an old English proverb that says, “You may find the worst enemy or best friend in yourself”. How true for both of my friends--and possibly others. Great post Bill and Teddy, thanks for sharing. It is sometimes true what they say that you are your own worst enemy. God's love is unconditional. Very impressive post as always Bill and Teddy. Thank you for your blog posts in the community. Please continue to make your blog post in the SE community.